Susan Birdsall (1821 – 1913) was married to my great-great uncle Ezra Roberts. She, like her husband, was born in New York, and like many of my ancestors, lived in Elmira, Chemung County in upstate New York. 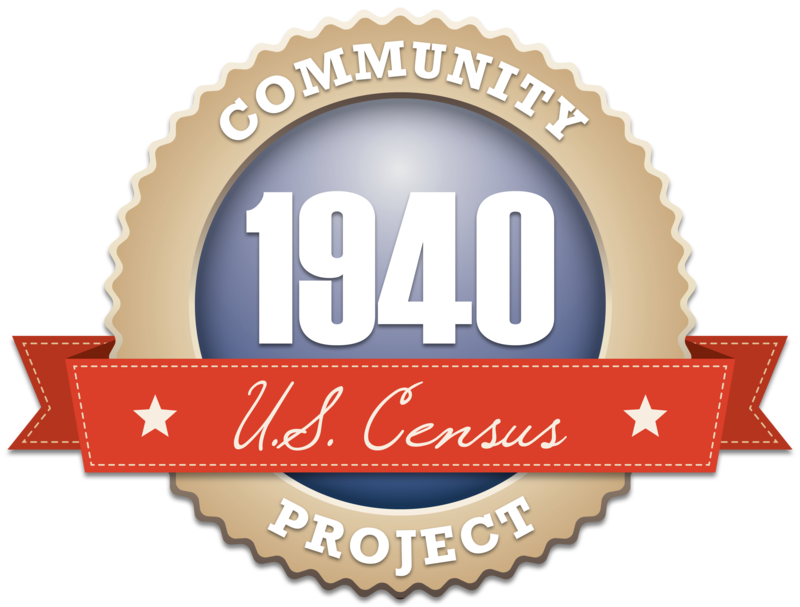 Early censuses say she was born in Connecticut, but I have not been able to verify that. As it is with many of the women in my family tree, I don’t know very much about Susan. I can easily track her in the censuses through the decades from 1850, when she was 29 and married to Ezra—all the way to 1910, when she was living in Elmira’s Home for the Aged. I have her obituary, which was rather brief, and mentions that she was Ezra’s widow, and that he conducted a boarding school for young men. There was no mention of one of her own accomplishments. In searching for more information about Susan B. Roberts, I found out that she had written a book of poems. With this discovery, I also learned her maiden name, which is Birdsall. The local newspaper announced its receipt of a copy of her book. 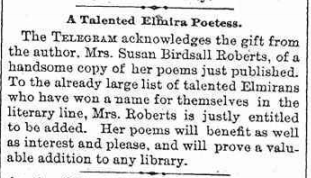 Elmira NY Telegram, 1891 notice of Susan Birdsall Roberts’ book of poems. I wonder if she ever sold any copies or if she just gave them away as gifts. And probably by the time she died, no one knew she had written a book of poems, which is why it wasn’t mentioned in her obituary. I would like to think that she was exceedingly proud of her book and of being referred to as a poetess in the local newspaper.